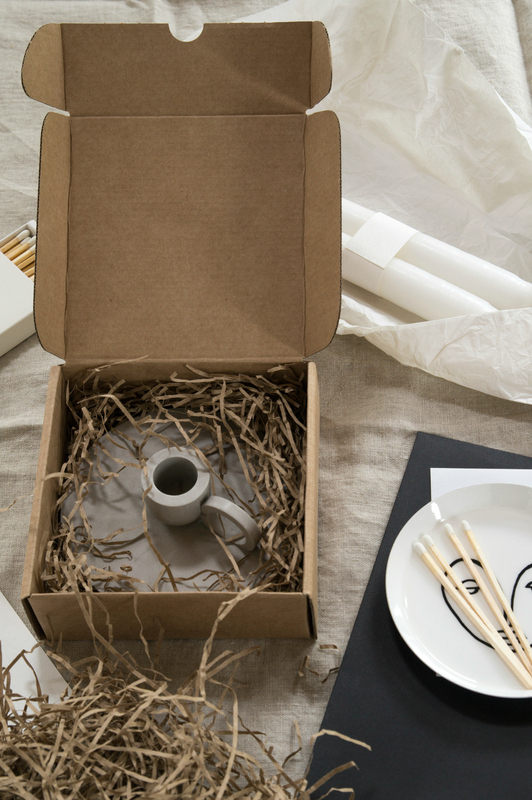 I’m super excited to show you this exclusive new launch from Glasgow based SHY Design Studio! 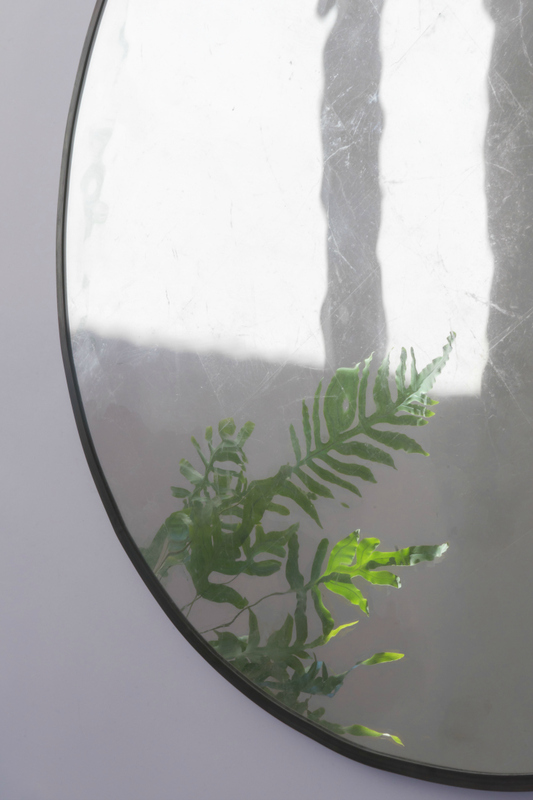 Two products are being launched; a candle holder called ‘O’ and a unique mirror called Perlucio. The products are made in Scotland and I think you’ll agree with me that they look stunning! SHY Design Studio have a big giveaway running in December, so I recommend that you hop over to check it out! Before you do though, please find out more about the brand and their product launches. I caught up with them a little while ago in a cafe in Glasgow. I’ve been lucky to receive one of the first candle holders produced. There are 3 finishes, this one is ash white, but also available are soot black and charcoal grey. There’s a little mystery surrounding SHY, what is it you do in a nutshell? We’re a small, multi disciplinary design studio, but we focus on furniture and products, as well as creative direction and project management for just a handful of clients. We produce our own refined interpretations of furniture, guided by our Scandinavian background for strong forms and natural materials. Briefly, how has the studio evolved? The studio began when I started freelancing on the side in the industry I was working in a few years ago, somewhere between art and design, specialising with luxury furniture. Firstly in Sweden, but it really evolved in London. Recently we had the opportunity to move to Glasgow which allowed us to grow the team a little, and made it possible for more creative freedom of our own. To focus more on our own Scandinavian aesthetic, hence why we decided to release the first products under our own label this year. That’s the question everyone asks us, the main reason being when we began assisting our clients of artists and designers it was important to them for us to be discreet about our design input, their own clients, often unique private commissions, as well as the craftsmen we worked so closely with. It’s very competitive, and time consuming to find the very best artisans with the patience to work on challenging and obscure projects, so we keep our network quite close to our chests. Because we couldn’t share many details of our work, we quickly became known as the ‘SHY’ design studio. SO why use ‘SHY’ for your new public label? Somehow we think SHY perfectly captures our style so we stuck with it. For us it perfectly describes the understated, quiet design we focus on. When you look deeper, the work is engaging and tactile. It doesn’t necessarily reveal all it’s secrets upfront but is designed to encourage a long lasting relationship with its users. Is the lifespan of products important to you? Absolutely, sustainability is very close to our hearts. We do all the obvious things using recycled packaging, and all natural, typically local, materials which don’t harm our environment. We even avoid printing on packaging, choosing to emboss things where we can. But the most exciting way we think about sustainability is to create engaging work that doesn’t go out of style, instead creating products that people could live with all their lives. Works like the candle holder will survive so long as they’re taken care of, but have very little environmental impact regardless. Pieces like our new mirror justify the use of more exclusive materials because it’s expected to have such a long life, hopefully even inherited by the next generation. It’s manufacture that backs up the design and delivers longevity, it has to be high quality. Firstly we make to order, so products have a home before they’re even produced. Right now we only use UK and Scandinavian based artisans who we trust closely and share our passion for detail, occasionally we produce some limited edition works in house as well. The other aspect is carefully selecting the best quality materials, and using natural finishes that uphold the subtlety of the raw materials. Everything is stamped with our mark of authenticity before leaving us. Tell me about ‘O’ candle holder? 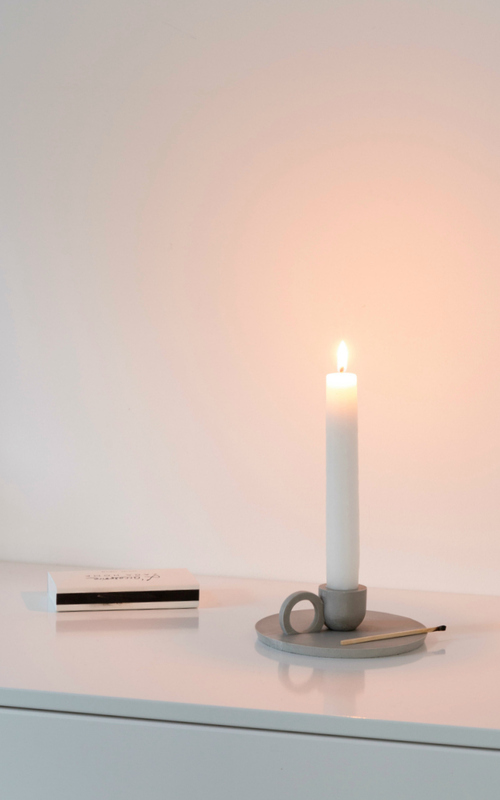 Each of our O candleholders is created individually, made from environmentally friendly marble plaster, formed from a single casting, which allows some natural colour and surface variations to occur making each a little different, before being hand finished. 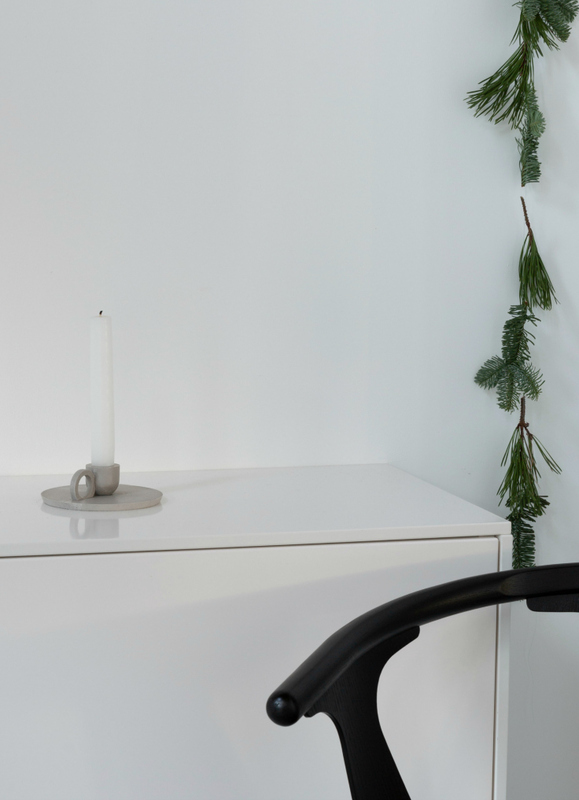 Although O candleholder well describes the forms it’s derived from, the name is actually referencing this being the first product from Shy Design Studio. Product number zero. We actually designed it and made just one in 2010 which is still on our shelf in the studio, but never released it before now. When we decided to launch our own products this year we knew it had to be the first. What about the Perlucio mirror? 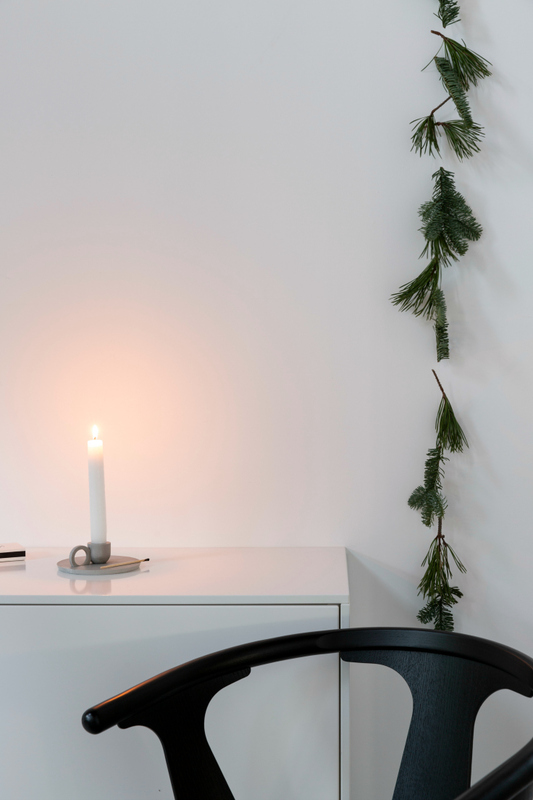 For us this was about creating something really special, combining our simple Scandinavian aesthetic and material purity with something that demands engagement, with a depth ensuring a long lasting relationship between user and object. To endure effortlessly in interiors for years to come with a soft elegance. 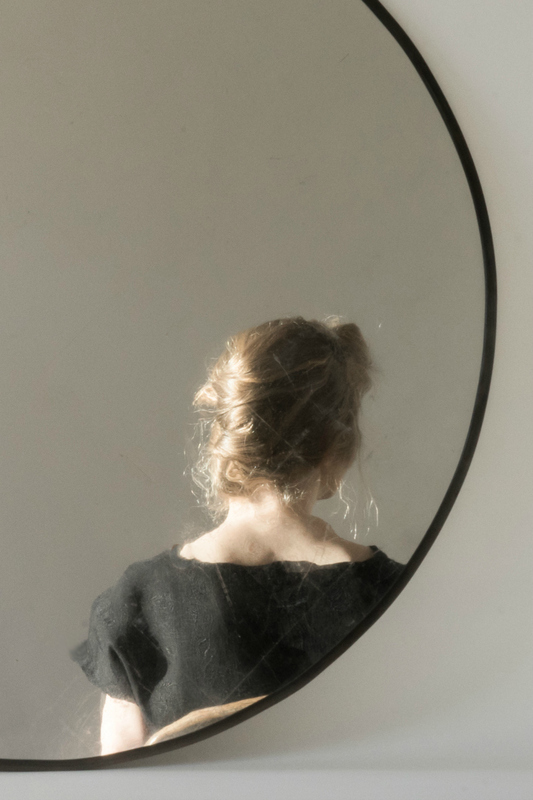 It is thought that man’s first conscious use of the mirror image was through standing water, and although modern mirrors offer a more accurate, standardized image, their is also a lost quality. Perlucio evokes this lost romance, utilizing centuries old methods of working glass to provide a visual experience challenging our awareness of our environment and our own perception of it. From a distance reflections appear distorted and mysteriously out of focus, refracted light creates the shimmer you find looking at rippled water. While persons moving through the frame do so with a serene fluidity and reality takes on an altogether ethereal peculiarity. As you come closer your reflection becomes more regular and the detail of the material and craftsmanship becomes more prominent. The materials feel almost historic, is that something you’ve consciously considered? Yes, we use such historical skills and materials, at one time in history these would have been quite common, so each new piece immediately exudes a rich narrative thanks to this. Each one is made to the highest standards by skilled artisans in Scotland. Hand drawn glass is water gilded in pure silver, before being backed onto ebonised birch veneer and framed in oxidised lead, finished with natural wax. Each of these materials has an inherent delicacy and softness that allow imperfections and discrepancies to be transferred by the craftsmen responsible during production, adding to the story and unique variation of each piece. These materials will also continue to change in relation to use and environment, slowly evolving their patina over many years, again adding to the story and building an emotional bond with the home it sits in. 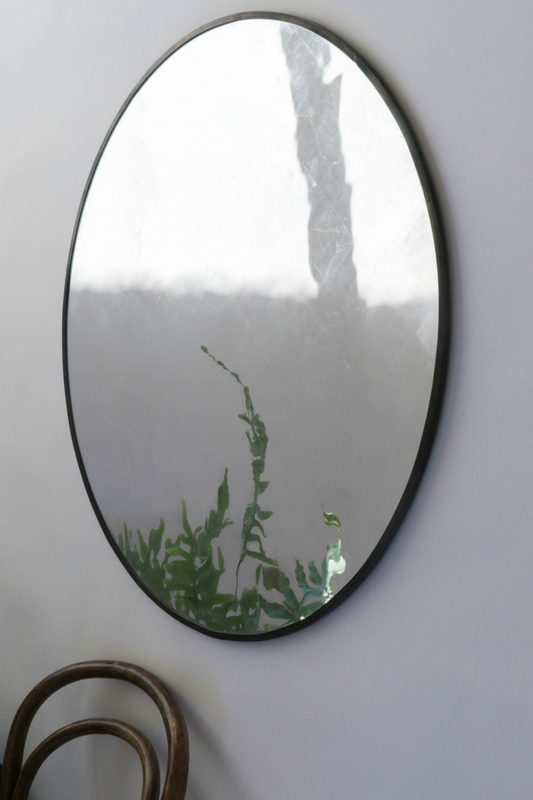 Photos of the mirror, supplied by SHY Design Studio. To find out more, check out SHY Design Studio‘s new website. You get an extra entry in the giveaway if you sign up to the newsletter.